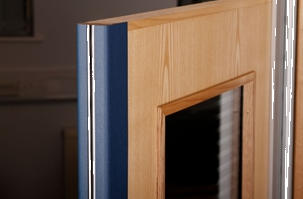 Glazed vision panels are often used within door leaves to let light into a room, for aesthetic reasons or for safety (i.e. 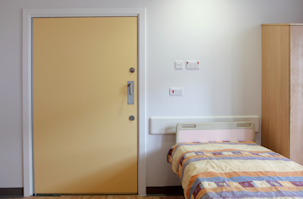 allowing people using the door to be seen). 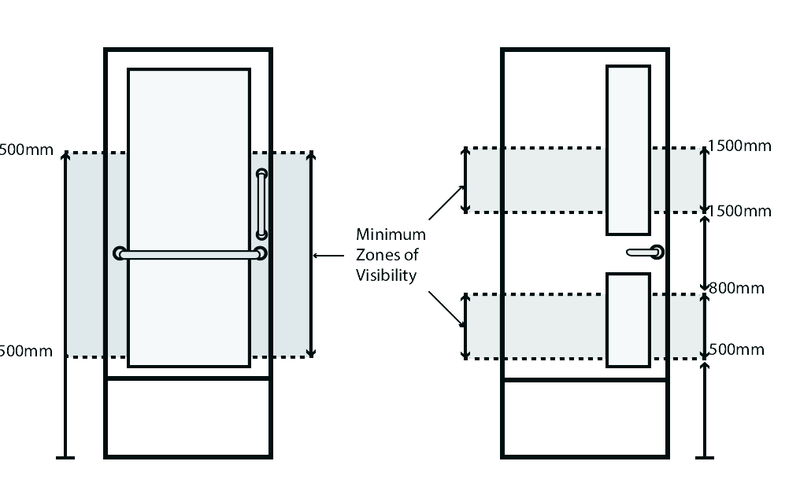 Vision panels should be towards the leading edge and with vertical dimensions including at least the minimum zones shown, either with or without a horizontal rail. 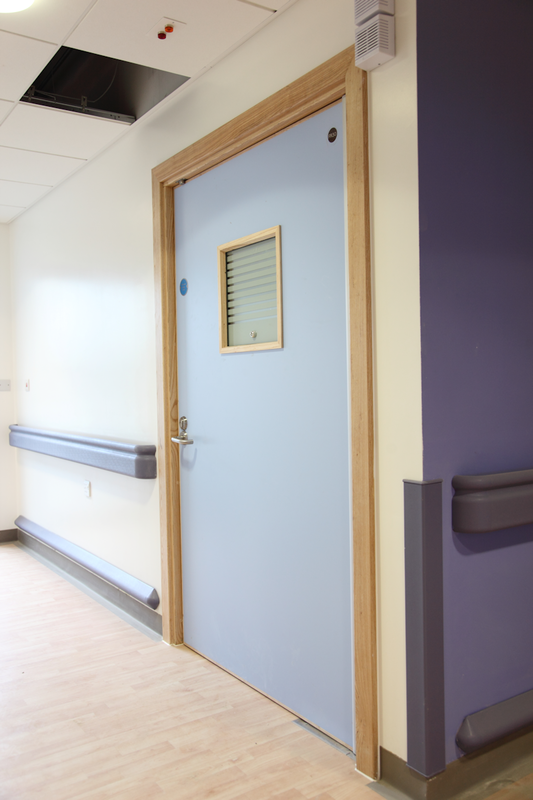 All entrance doors; doors across corridors and within lobbies; and where appropriate internal doors, require vision panels for door leaves and side panels wider than 450mm.